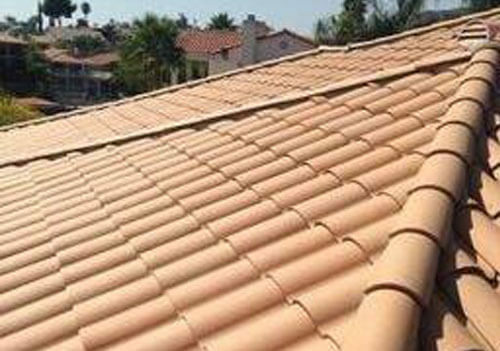 Jarco Roofing & Solar is SoCal's trusted choice for tile roof services. With over twenty-eight years of experience in the roofing industry, our company is highly experienced in tile roof new construction and re-roofs as well as tile roof repair, inspection, certification, maintenance, and tune-ups. Having provided our roofing services to thousands of satisfied clients throughout Canyon Lake and Temecula, we've earned a reputation for value. Each one of our clients can expect workmanship, reliable and timely service, and competitive rates, no matter the size of their job. For those looking to install a new tile roof or replace an existing one, we can help you achieve your aesthetic and functional goals while ensuring you stay within your budget. We are authorized to sell and install tile roof systems from US Tile, Redland Clay Tile, MCS, Eagle Roof Tile, Boral, and more. These brands offer you access to a wide array of options. You can choose clay, concrete, or synthetic tile, in red, brown, black, or earth tone colors. Most of our roof tiles are backed by a lifetime manufacturer's warranty; can be used for residential or commercial applications; and come in a range of price points. All of our roof work meets today's building codes and complies with California's Title 24 energy requirements. With our level of expertise, we can also inspect an existing tile roof; certify tile roofs for a one, two, or three year period; maintain them through simple repairs and cleaning (also known as our roof tune-up service); and replace tile roofs that are beyond repair. Whether it's for an entirely new tile roof or individual tile replacement, Jarco Roofing & Solar will always deliver premier service with quality workmanship at a fair rate. Call today to schedule your free on-site consultation and estimate. We serve homeowners and businesses throughout Canyon Lake, Menifee, Corona, Temecula, and surrounding areas. Our normal operating hours are 7am to 4pm, Monday through Friday. We are locally owned, and licensed, bonded, and insured.